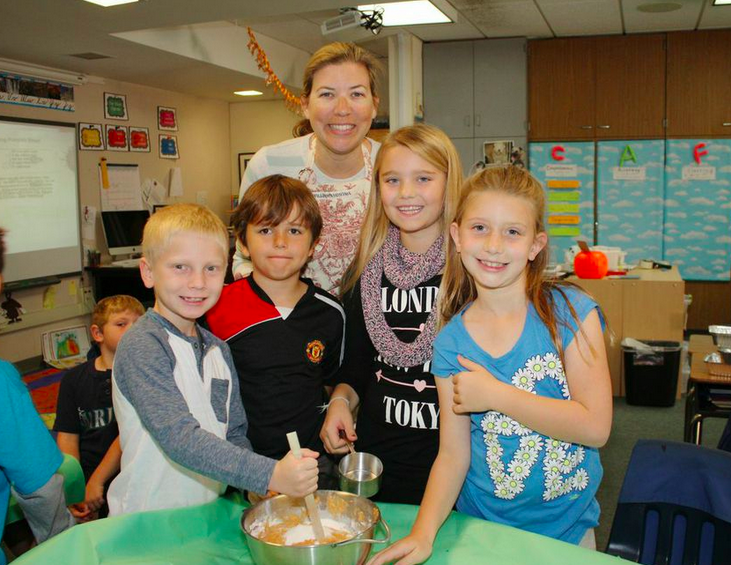 A Thanksgiving tradition in Mrs. Yollis' room is to bake delicious pumpkin bread. 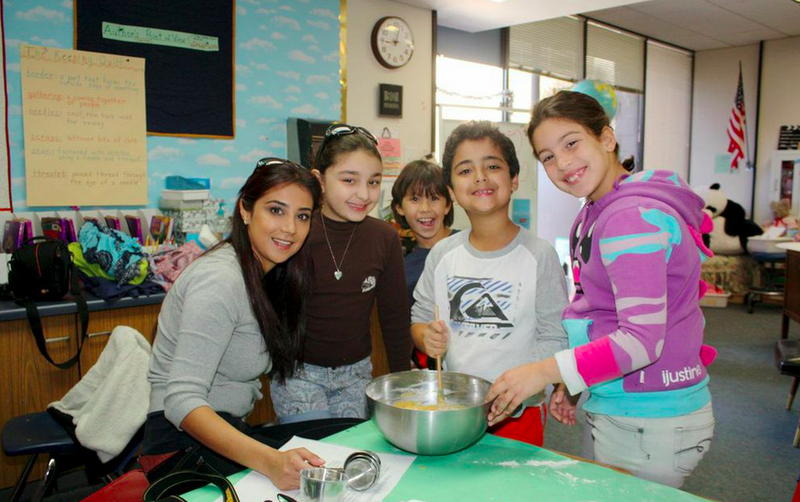 Parents volunteered to help each group of bakers. 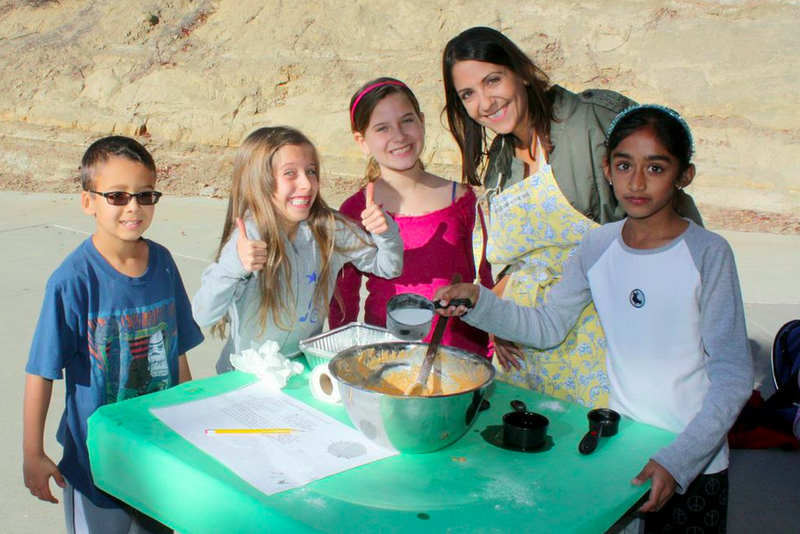 It was so lovely outside, two groups got to bake al fresco! 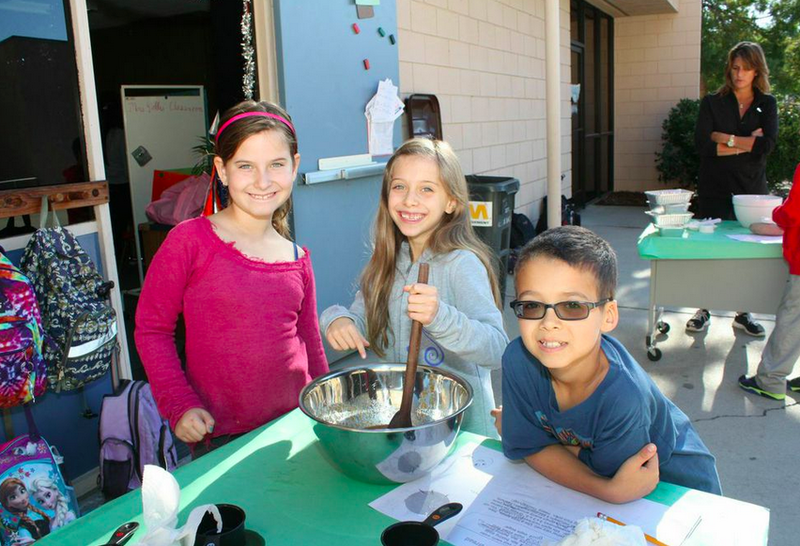 Check out these busy bakers! 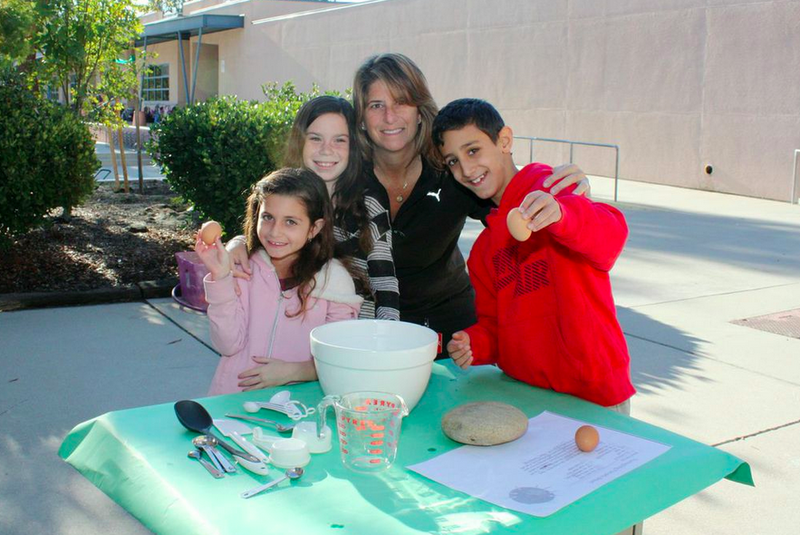 Thanks, parents, for helping out! 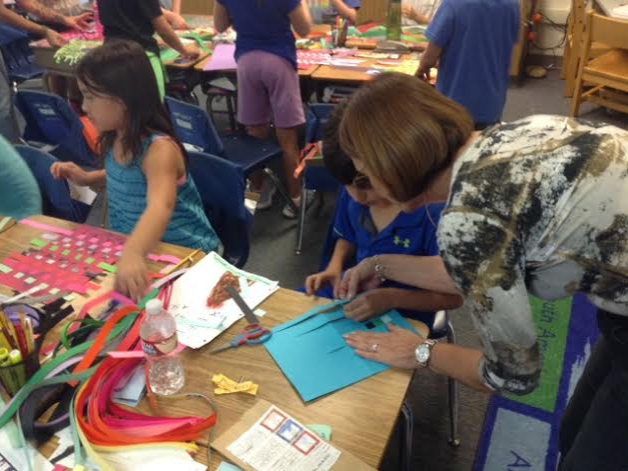 Mrs. Ranney came out of retirement to assist one group! 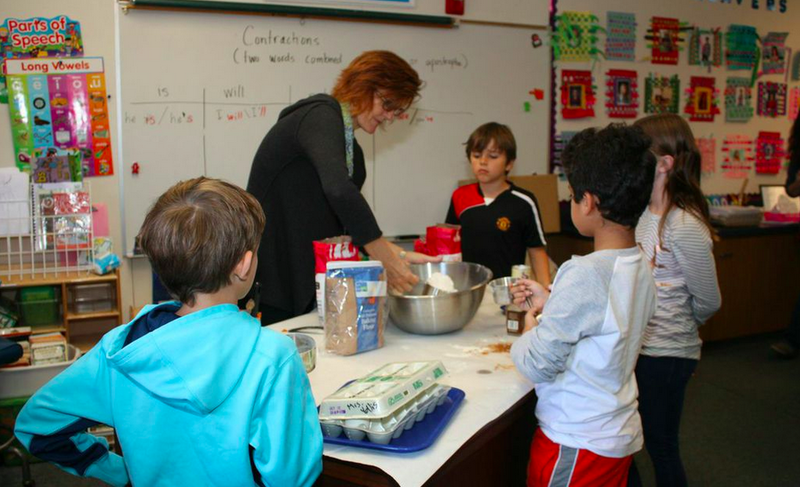 Mrs. Yollis was on hand to assist with ingredients. Be sure you add the right item and measure the correct amount. 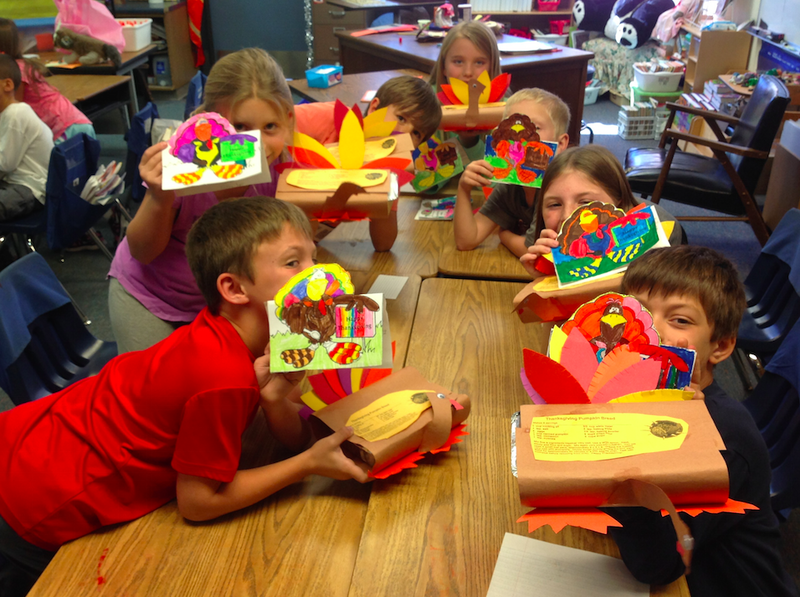 The next day, we decorated the breads like turkeys and created special invitations to Thomas T. Turkey! 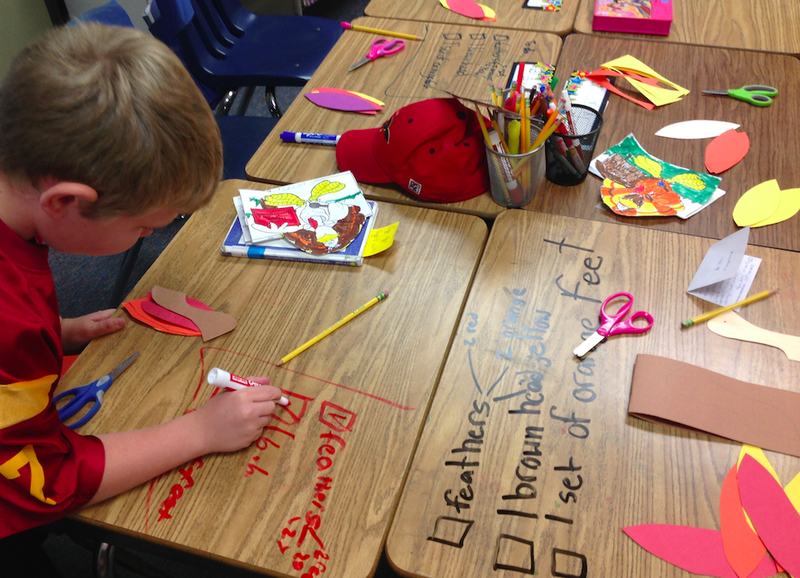 First, students made a list of items to be cut out to make their turkey decoration. 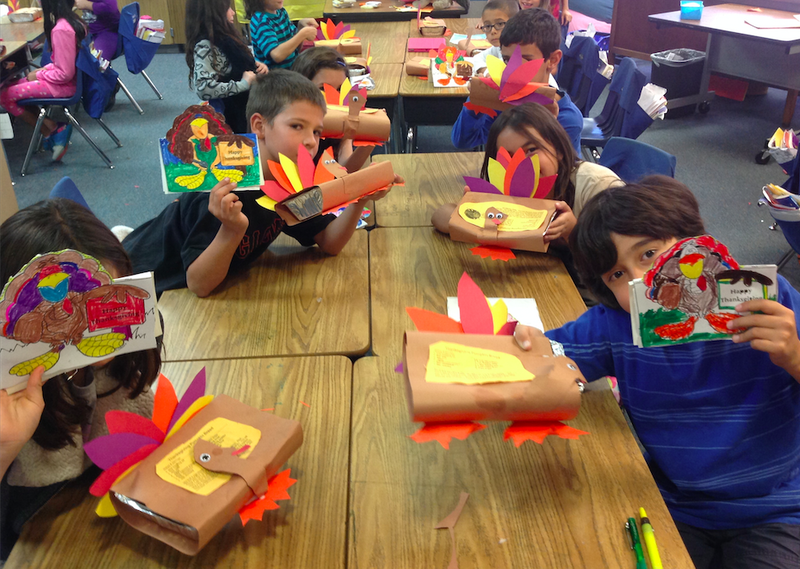 Next, students worked in pairs to assemble the turkeys. Finally, it was time for a photo! 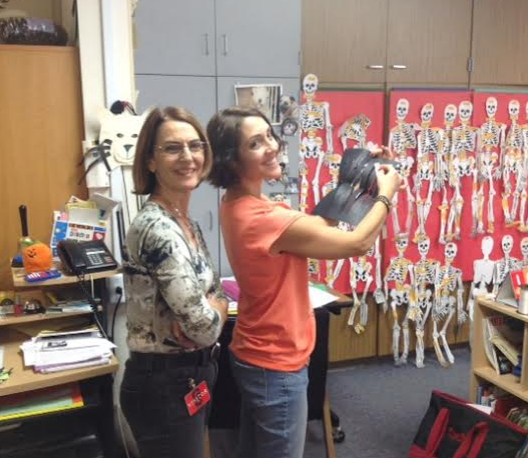 Mrs. Yollis is thankful for her lasting friendship with Mrs. Ranney. 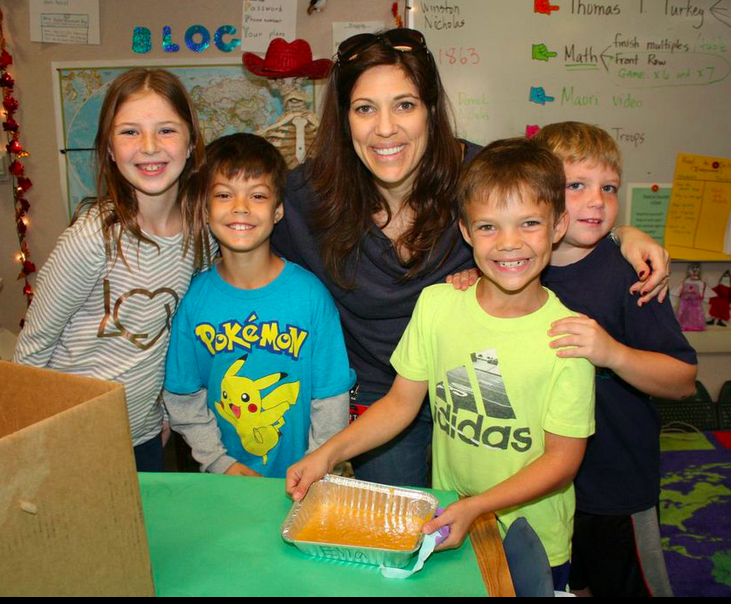 Everyone appreciates her bimonthly visits to our classroom! Thank you, Troy's mom, for taking these wonderful photos! 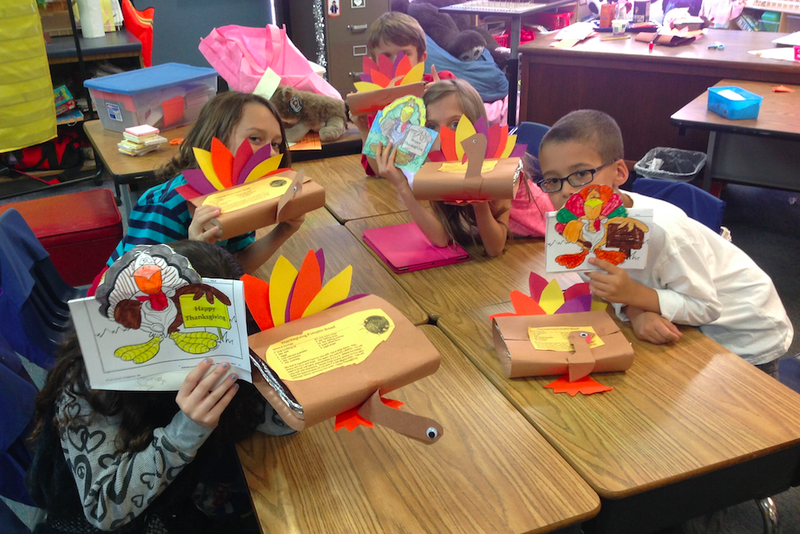 What was some funny word play you used in your Thomas T. Turkey invitation? 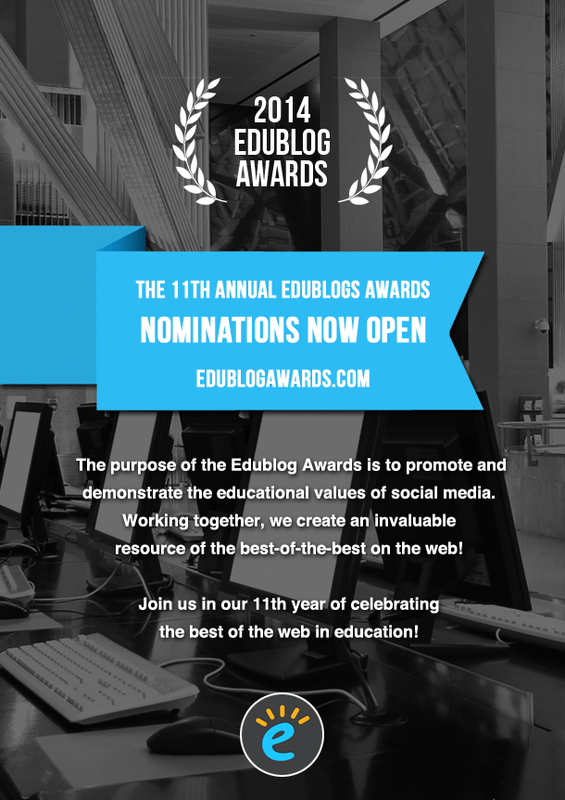 The Edublog Awards provide a wonderful opportunity to reflect on all the fabulous blog posts and web contributions that people have shared over the past year. It is always difficult to make decisions and narrow it down to just one choice per category. I want to personally thank the many dedicated, talented, and passionate educators who contribute to the educational community each and every day. 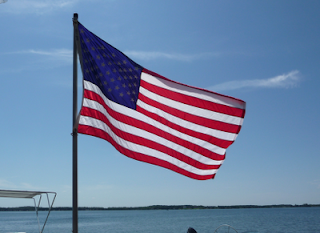 I learn so much from my Personal Learning Network (PLN), so many thanks! *Nominations will close TODAY (November 24) at 11.59 PM EST USA. 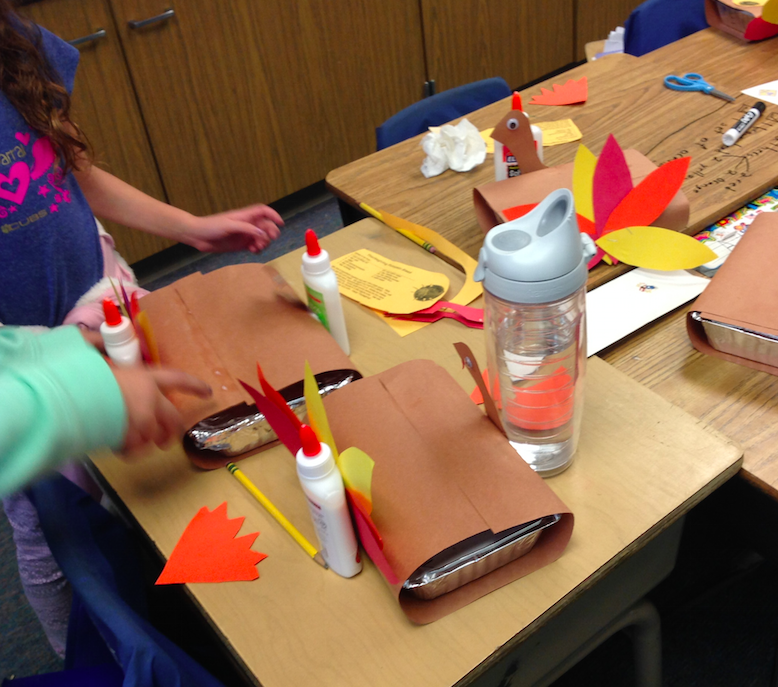 Thanksgiving is a national holiday celebrated on the fourth Thursday in November. 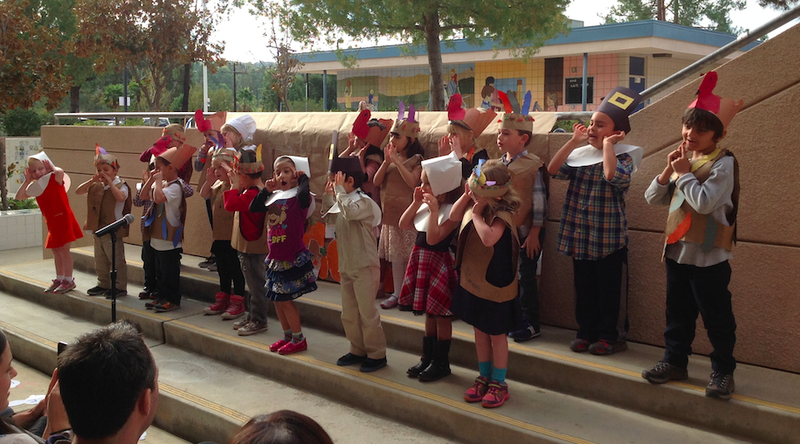 Students learn about the history of Thanksgiving in school and sometimes there is a Thanksgiving presentation. 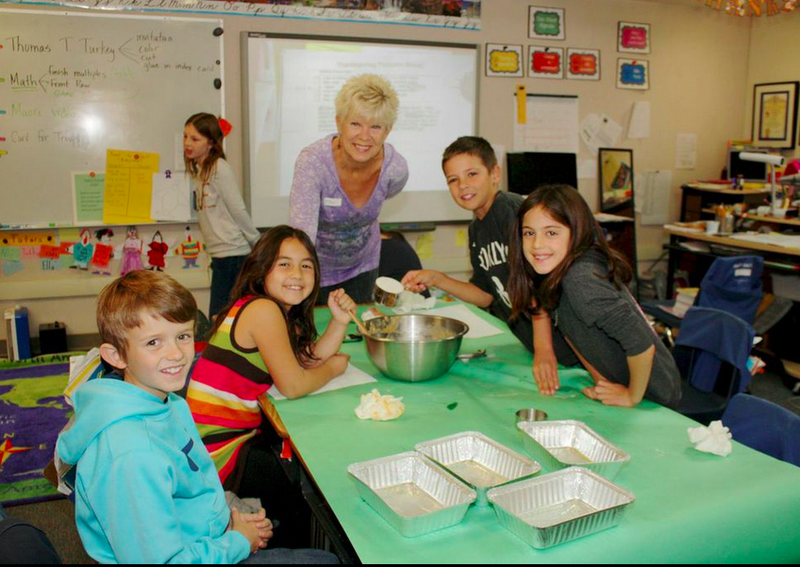 Our reading buddies are in the Journey's program at our school. They are pre-kindergarten students; many are only four years old! 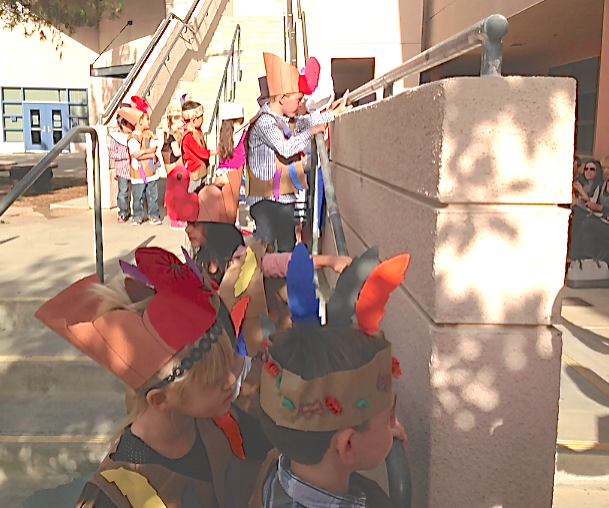 Our pals invited us to help and watch their Thanksgiving Performance. Before the show, we helped the young performers with their costumes. Four third graders worked as ushers who handed out programs to the parents in the audience. Ella assisted with the entrance. 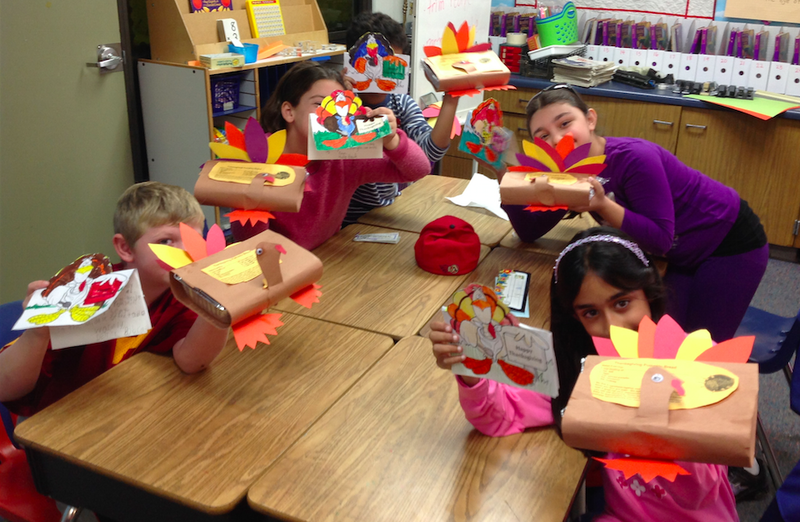 The Pilgrims, turkeys, and Wampanoags were excited to start their show. Here they are lined up ready to begin! 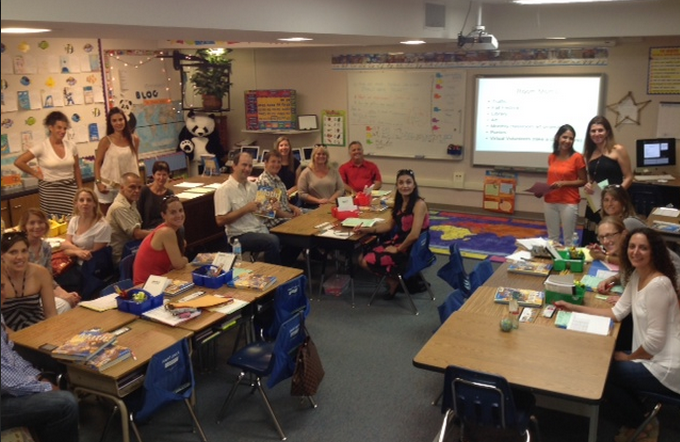 Mrs. Cuevas introduced the presentation. 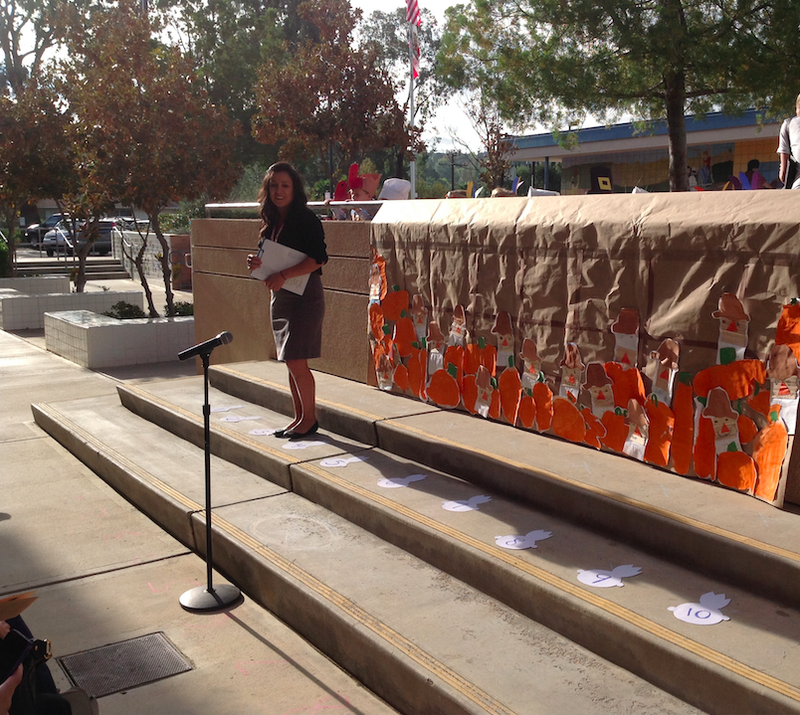 What a great pumpkin backdrop! 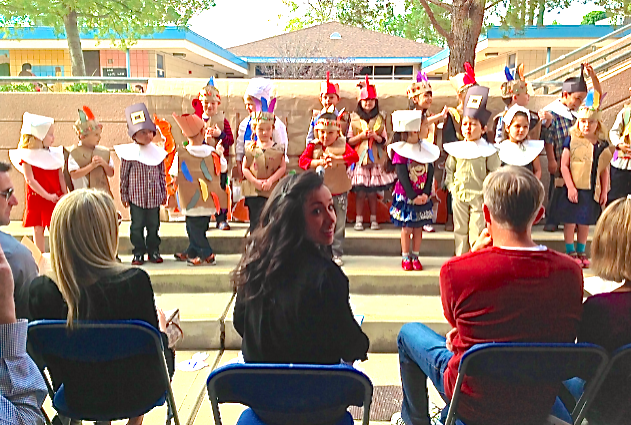 This little Pilgrim welcomed the crowd. 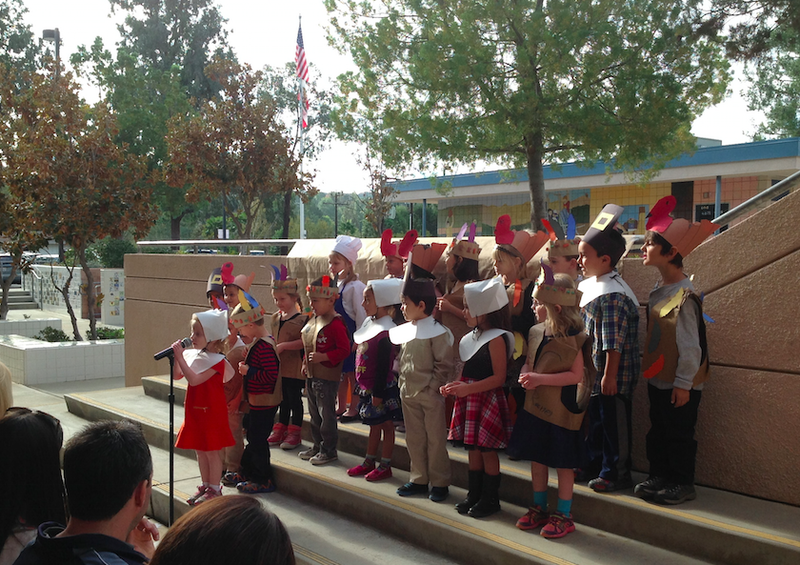 The audience enjoyed Thanksgiving fun facts, sensational seasonal songs, and it ended with a poem of gratitude! The young performers enhanced the singing with clever gestures. A gesture is a movement that expresses an idea. Leave a message for your Journey's buddy. 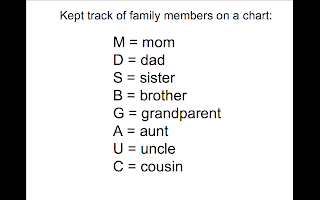 Remember, they are just learning to read. It is okay to leave very short sentences. 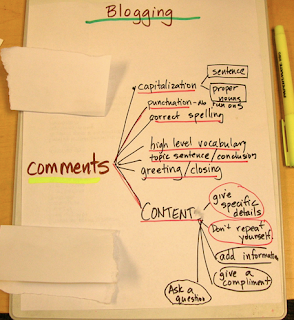 It is okay to start your sentences the same way. 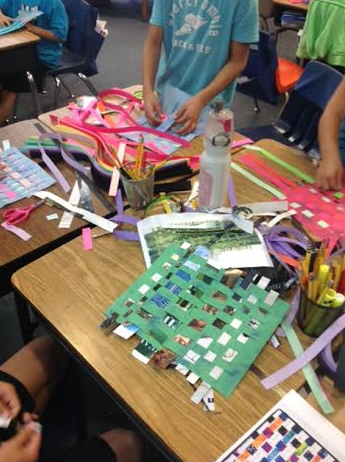 What was your favorite part about the presentation? 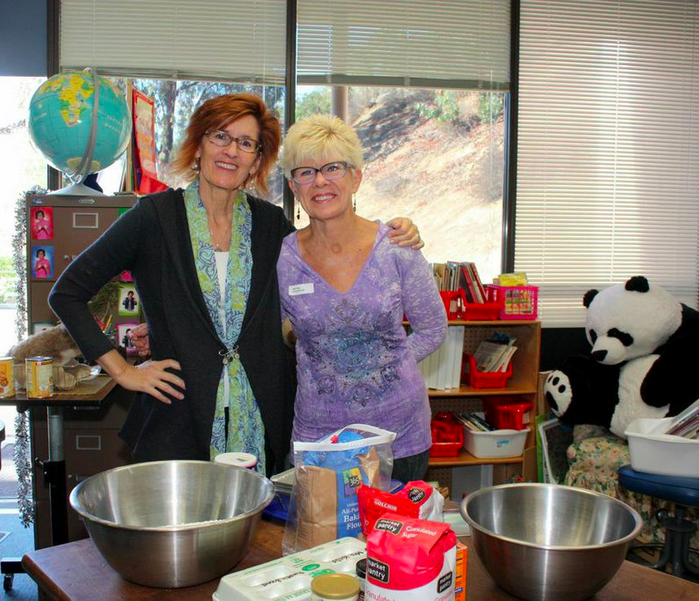 Nic's mom and grandmother came in to class to teach our monthly art lesson. 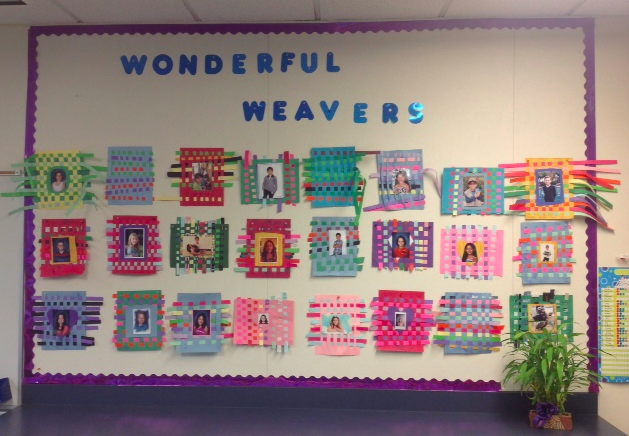 This dynamic duo taught the class how to weave! 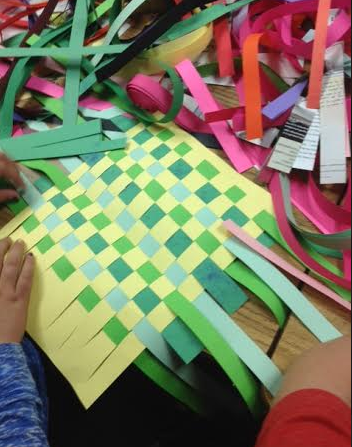 First, we made a paper loom and then the weaving began. 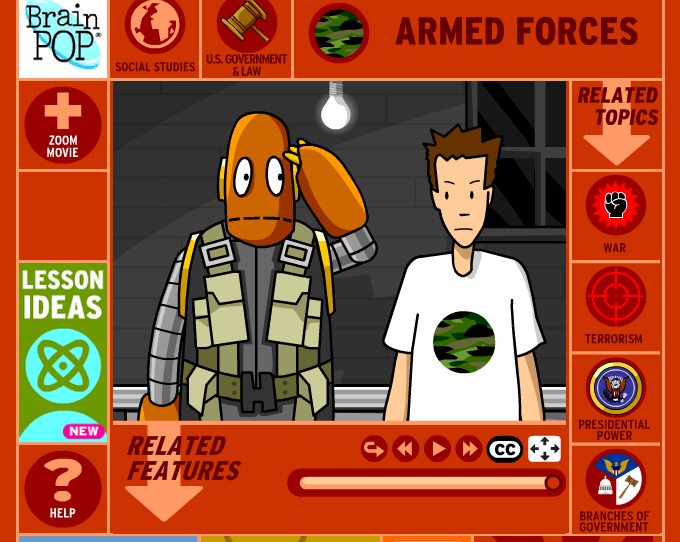 Here is a link to the BrainPop video about Thanksgiving. 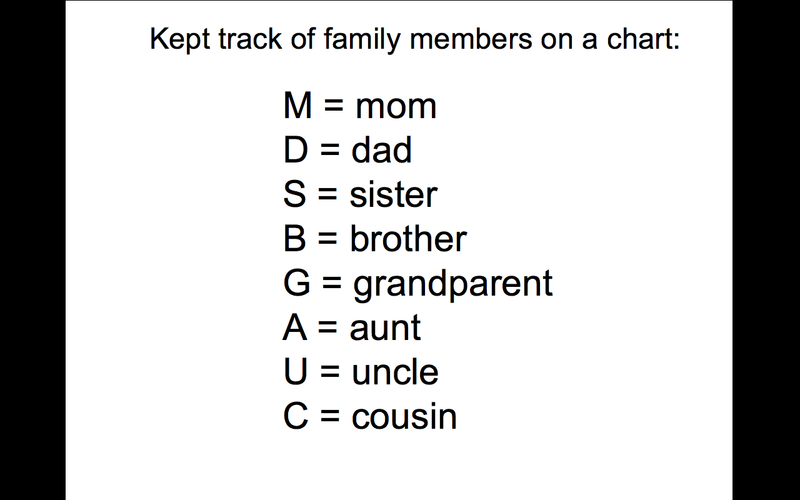 Research Thanksgiving. Add new relevant information about this American holiday. 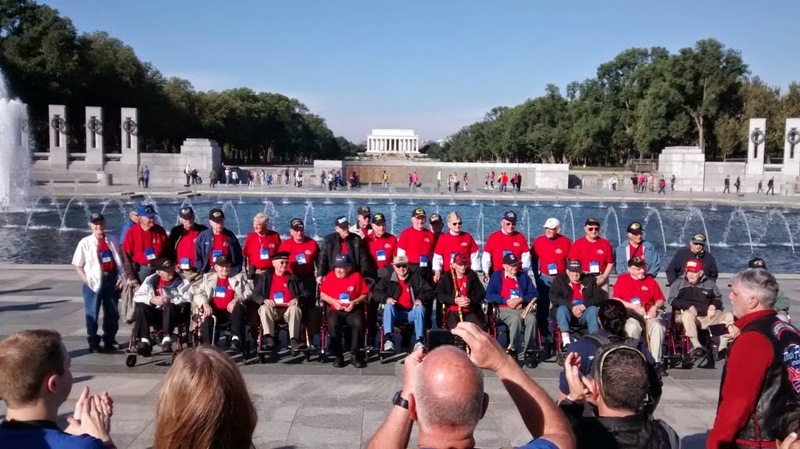 Here is a link to a wonderful Veterans Day blog post by Mrs. Hembree in Seattle, Washington. Read about her father-in-laws service and see photos from his Honor Flight to see the World War II Memorial in Washington, D.C.
Photo honoring veterans at the World War II Memorial. 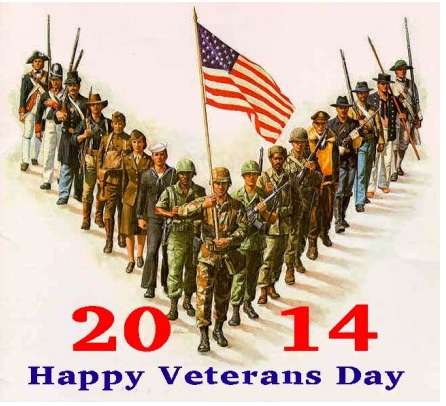 In class, we will be sending holiday cards to active military personnel. Chance and Nate are in a Cub Scout Troop, and they provided the cards for the "Holiday Cards for the Troops" project.